Attorney Timothy McMahon secures $1.775 million for victim’s family against Imperial County and driver. It only took a public works crew a few hours on Feb. 13 to turn a deadly intersection from a 2-way to a 4-way stop, but the safety effort was years in the making. Imperial County officials knew the intersection of Keystone and Austin roads, just outside the city of Brawley, was dangerous: Between April 2011 and June 2012 alone there were four collisions there that resulted in six injuries and three fatalities. Authorities said those and other accidents were caused by drivers who failed to yield the right-of-way or did not stop at a stop sign. Imperial County attempted to mitigate the danger in spring 2013 by installing flashing beacons and “stop sign ahead” warnings at the intersection. At the same time, it applied for Highway Safety Improvement Funds and acknowledged in its application that the intersection needed additional improvements. The 2013 funding request was denied. A second funding request was submitted in 2015, but still the intersection remained unchanged. This set the scene for a perfect storm of events that led to the death of Mike Smart on Sept. 30, 2016. The San Jose resident and his wife, Pat McMahon, were headed for Mike’s 50th high school reunion in Brawley, when their car was hit by Liana Avendano. Ms. Avendano didn’t see the stop sign at Keystone and Austin roads until it was too late, and her minivan broadsided Mike’s vehicle. Both vehicles spun out of control, rolled over and came to rest in roadside irrigation canals. The trauma of the collision stopped Mike’s heart, killing him instantly. Pat was alive, but she suffered massive chest trauma and was trapped inside the vehicle that was quickly filling with murky canal water. She found an air pocket and frantically tried to pull Mike’s head into it, but to no avail. Pat was rescued by first responders equipped with scuba gear – just as her air was running out. The accident was life-changing for Pat, who suffered massive chest bruising. She continues to experience chronic pain and has developed a heart condition that requires her to take medicine for the rest of her life. 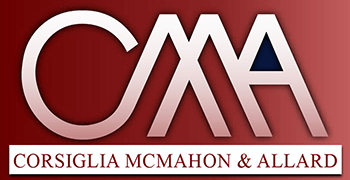 Attorney Timothy McMahon, from San Jose-based personal injury law firm of Corsiglia McMahon & Allard, sued Imperial County on behalf of Pat, and Mike’s two children from a previous marriage. The wrongful death lawsuit alleged the county was partly liable for the accident because it had known of the dangerous roadway condition for years. The suit was settled recently against Imperial County for $1.675 million. As a result of the lawsuit, the County made the safety improvements on Feb. 13. Ms. Avendano pleaded no contest to misdemeanor vehicular manslaughter without gross negligence. A $100,000 settlement was reached with Ms. Avendano.